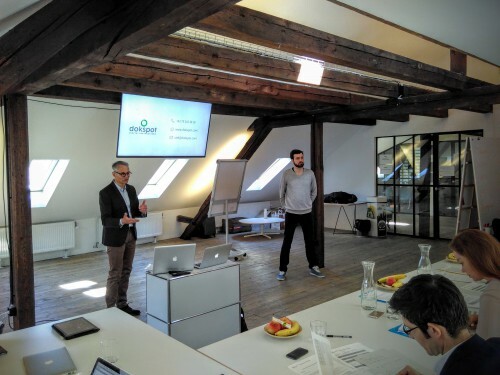 Impact Hub Fellowship Energy Cleantech in collaboration with the Swiss Federal Office of Energy was looking for the most innovative and creative business idea in the energy sector with a focus on natural resources. The fellowship aims at supporting the economic, technological, and ecological potential of cleantech in the energy sector. We have received applications from many different fields connected to energy, with the majority focusing on solar energy and energy-saving devices and technologies. Based on a set of criteria, such as innovativeness, impact, quality of the business case, etc. 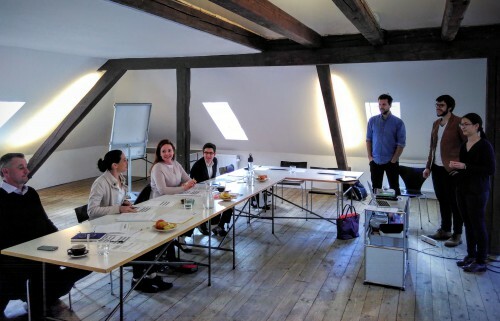 six candidates were chosen to present their projects in front of a top notch jury on April 28, 2016 at the Impact Hub Zürich. To get a better impression of the projects, please watch the short videos below. The jury, consisting of Ruth Happersberger (Energie 360), Stephan Hess (Swiss Technology Brokers), Josef Känzig (BFE) and Anette Kern (ewz) saw many interesting presentations (see impressions below). In the end, a hard decision of who to support had to be taken.We are happy to announce that dokspot and Zero Standby Power (from Smart Home Technology) will enter the cohort phase of the fellowship – an intensive four month period where they receive support to refine their business model with collaborative working at the Impact Hub, as well as peer learning sessions and workshops. In addition to that, Kompotoi will be awarded as a Runner-up with a four months cohort membership. Hans and Cyrille from dokspot are presenting their project of paperless product instruction information. Chun and Felix from Smart Home Technology present Zero Standby Power in front of the jury.